Matte silver and polished accents grace the case that holds two decks of custom-printed playing cards with your company design or logo. These metal playing card cases are made of sturdy stainless steel with a glass top for showing off your custom cards. 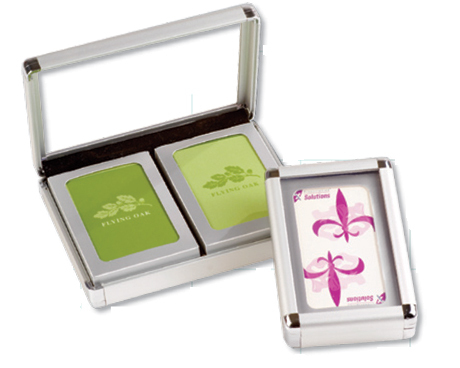 Metal case logo playing card sets are available in one or two deck capacities and come bridge or poker size.